We are pleased to announce that Geldof has recently been awarded another large full-scope fuel handling project. RWE has trusted Geldof with the contract for the fuel-handling scope of the co-firing project at its Eemshaven plant in the Netherlands. The project, which has a contract value ranging in the tens of millions, consists of the conversion of part of RWE’s coal plant to co-firing biomass (wood pellets). As an EPC contractor, Geldof will be responsible for civil works, electrical works and cabling, firefighting and explosion protection and suppression, as well as for the handling and storage installation. The fuel handling lot contains various handling equipment, including a sidewall conveyor and vertical screw conveyors, while the storage lot exists of a 12.000m³ concrete silo with steel roof with a vibrating floor as reclaiming system. We would like to thank RWE for their trust in our company and we are looking forward to a successful and mutually beneficial relationship. 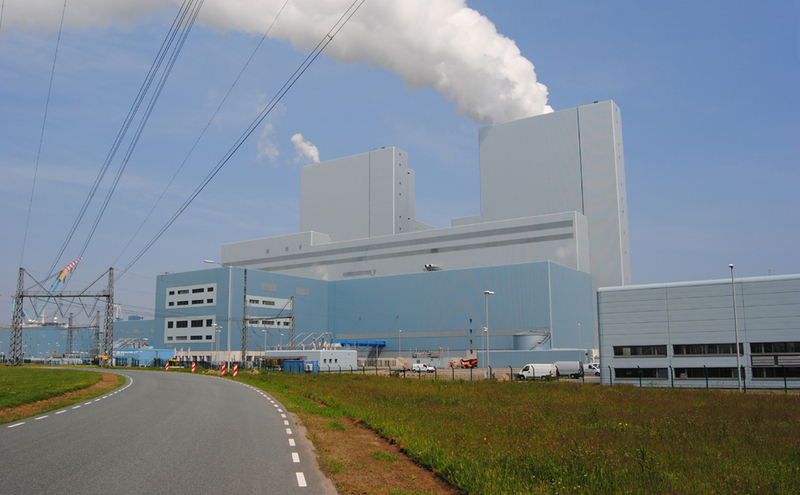 RWE Generation is one of the leading power generation companies in Europe. The company currently has a power generation capacity of over 40,000 Megawatt and a workforce of around 14,000 people at 79 locations. In 2015, in Eemshaven, Groningen RWE put a new ultramodern power plant into operation, with a capacity of 1,560 megawatts. By converting this power plant to co-firing biomass, RWE Generation is working to ensure that power is generated in an even more environmentally friendly way in the future, that it continues to be reliably available and remains affordable. Geldof is a leading supplier of ‘integrated steel solutions’ for the storage, handling and processing of bulk solids, liquids and gases. We have a strong reputation in the fabrication of dry bulk storage and handling projects, storage tank solutions, pressure vessels and process equipment, and a range of other engineered solutions that often require a combination of high-level competencies in diverse technical areas. Geldof has extensive expertise in renewable and conventional energy, storage and transshipment, and serves the oil and gas industries as well as a broad range of other industries.